The above video of Clarkson responding to me telling him the news--Brian Michael Bendis is leaving Marvel for DC--sums up my feelings pretty well too. I wanted a snack and let out an exhausted sigh. 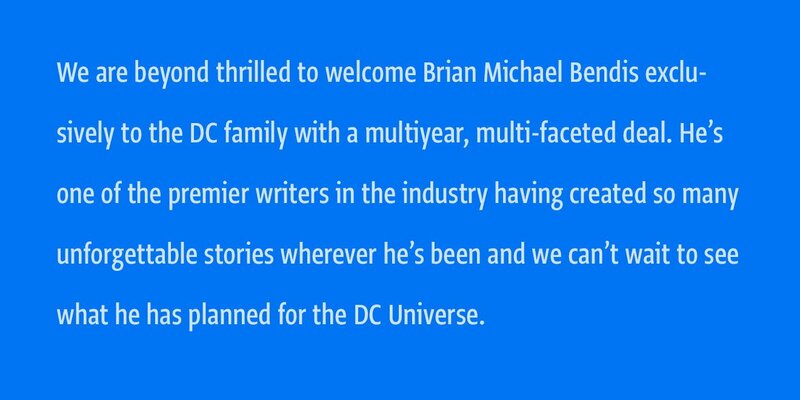 Bendis has for over a decade been associated with Marvel ever since he did some indie and Image stuff before the company scooped him up. He's written almost all the most popular characters at the company (Daredevil, The Avengers) and created a few popular individuals himself too (Jessica Jones, Miles Morales). The man's love for Luke Cage helped the lesser-known character become a household name and lot of the Marvel stuff that made it to Netflix is based on his character work with Cage, Jones, and Daredevil (not so much Iron Fist, that was more Ed Brubaker who revitalized that character) and even if his most recent stuff has been weak (anything X-Men related) he created some stellar stuff and still was masterful at writing solo-books although I personally feel outside of his first, "New Avengers," stuff that he struggles horribly to do team-focused books. I'm no really upset or happy about this. It just is if anything stressful (making me want a relaxing snack) to wonder how this will impact books at both companies as Bendis is a writer who either makes awesome stuff or really underwhelming-to-awful books--it is hard to recall a purely mediocre title by him, they just fit into extremes. All I can do is what my son does at the video's conclusion, let out a big sigh and see how things turn out. 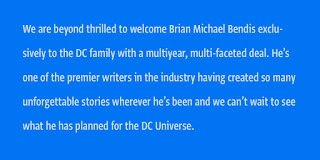 Perhaps we will get more of, "Awesome Bendis," and a lot less of, "Terrible Bendis."